Last weekend Echo’s second tree planting day took place. On this day, 1000 trees were planted in a reforestation area near Saliña Tam. In addition to 30 community volunteers, the STINAPA Junior Rangers brought 16 Aspirants to help. After all the trees were planted, several volunteers helped to water them to give them a good head start. There are more tree planting days planned for the remainder of this rainy season. 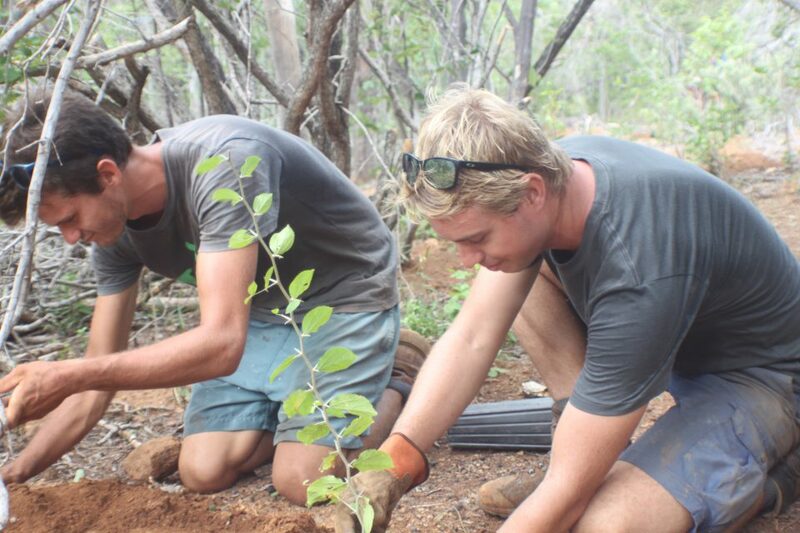 Echo is planting out native trees to rehabilitate and restore the dry forest ecosystem of Bonaire and to help the native birds and animals, like the Lora (the Yellow-shouldered Amazon Parrot), to have more food and a better place to live. The trees are being planted out into fenced areas across Bonaire. 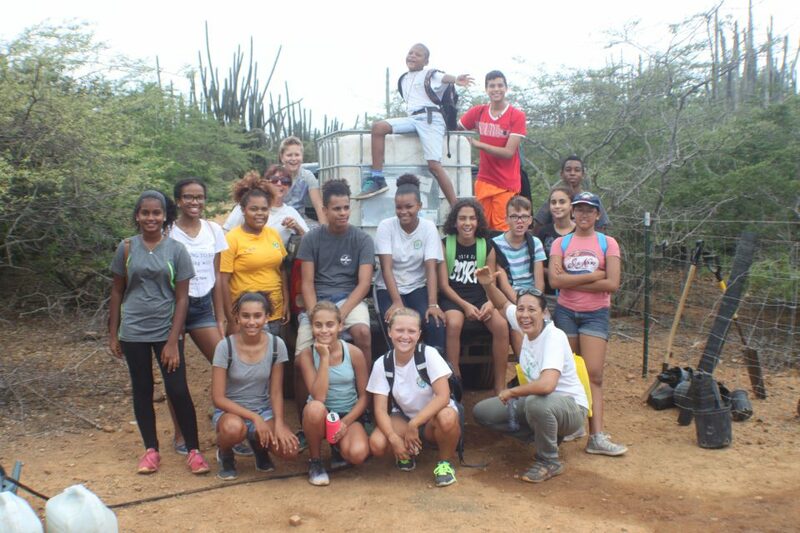 This is a project funded by Openbaar Lichaam Bonaire. The goal of this project is to establish 10 one hectare fenced areas with around 20,000 planted trees in total. Echo has fenced off seven of these areas already and will be planting out trees in the upcoming months. We need your help with planting those trees. The next tree planting days will be on 4 November and 18 November. On the 4th of November, we will plant out another 1000 trees in our Saliña Tam exclusion area. This exclusion area is situated on the road to Playa Frans. More information about these tree planting days will be presented on Echo’s Facebook page (www.facebook.com/EchoBonaire.org).